When I sit in my listening room these days, I am confronted with power – huge amounts of power. I’ve got four 600 wpc monoblocks and one 500 wpc stereo amp. The “little” monoblocks are 95 pounds apiece, while the big ones weigh in at 175 each. This is in stark contrast to the 500 wpc stereo amp, which weighs in at 22 pounds. However, don’t think this stereo amp is a lightweight. Quite the contrary – the Rotel 1092 packs a wallop, and then some. The only thing about it that isn’t heavyweight is the price. 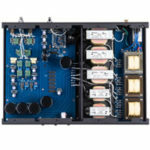 The Rotel 1092 is the one-box stereo version of Rotel’s 1091 class D amp. It is the first class D amp that I’ve auditioned in my system, and I didn’t know what to expect. What I got was a powerful stereo amp that was completely non-fatiguing and delivered more value-for-the-dollar than I thought possible. I’ve had some experience with “midfi” high power amps. I used to own several Carver amps in the 1980’s, including two 375 wpc TFM55’s, which I used in passive biamp mode. They were pretty good, but in the late 1990’s I had a Proceed HPA2 that taught me that all high power amps are not created equal – especially when it comes to bass or driving speakers that love current. The 250 wpc Proceed’s bass was clearly superior to the 2 TFM 55’s put together. I still have a Proceed HPA3 (the three-channel version of the HPA2) that I use in my home theater system. For reference purposes, the HPA2 was more expensive six years ago that the Rotel 1092 is today. Furthermore, the Rotel 1092 is 1/10th the price of the “little” monoblocks (Electrocompaniet Nemos) I mentioned above and 1/12th the price of the big ones (XLH M-2000s). I’m not going to tell you that the Rotel 1092 outduels the Nemos or the M-2000s. The Nemos produce up to 150 amps of peak current and have a damping factor of 900. The M-2000s are the most wallop-your-chest, we-are-there-live amps I’ve ever had in my system (I have not tried the big Boulder amps). But folks, we are talking about amps that are 10 to 12 times more expensive. So What Is This Class D Amp Thing Anyway? A class D amp is a switching amplifier. 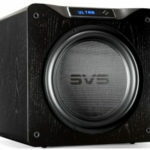 Such amps have several advantages, not the least of which is their efficiency, which allows them to run much cooler than traditional high power amps. My Nemos are a class A design, which runs very warm. During summer, my listening room needs extra air conditioning, while in winter I need to periodically open up windows and doors to cool the room down. Not so with a switching amp like the Rotel 1092. It can be placed in a cabinet without worrying about overheating. A switching amplifier doesn’t need massive heat sinks and can use a smaller and cheaper power transformer. The 1092 never got more than mildly warm, even when run a high output. Historically, the biggest drawback of switching amps related to the power supply from the wall. A very clean and dependable power supply is a must, or you risk getting distortion and other noise. My main system has three dedicated power supplies, and I had a variety of “conditioning” power cords to experiment with. I did not use a conditioner for the amp (I have always felt that pace, rhythm and timing suffer whenever I insert a power conditioner between the wall outlet and high power amps) and I experienced no power supply problems. I don’t know whether this had anything to do with the Rotel 1092’s design. Rotel’s implementation of a switching amp makes use of the highly-praised Bang & Olufsen ICEpower power modules, and if the 1092 is any indication, we’re going to be seeing many products incorporating these modules. One thing I’ve thought about doing with some of the amps I get to review is to plug them into one of my midfi systems. The preamps I use in both systems have pre outs, which let me bypass the amplifier section and instead route the signal through an external power amp. However, this is not exactly easy to do when you are testing monoblocks that weigh 100 or more pounds each, so I rarely do it. Enter the Rotel 1092. At 22 pounds, I had no transportation problem, so the 1092 went right into the basement system. This particular preamp is rated at 120 wpc, and has generally served me well. It sounds reasonably good to the non-critical listener and produces a pretty solid bass line. When I inserted the Rotel 1092 the whole room came alive. Not only did the usual benefits of more power surface (bass and dynamics), but the soundstage expanded in width and depth. Cursory listening also revealed greater detail and extension without harshness. These effects were not subtle. They were a huge improvement in every aspect of this modest system. “OK” I thought, “You’ve made the first cut. 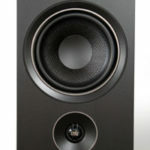 Let’s go play with the big boys.” I took the 1092 to my dedicated listening room. I started out by simply placing the Rotel 1092 on an amp stand. I initially made no attempt to address vibration or use alternate power cords. I just wanted to hear what the 1092 could do driving my B&W 800Ds. The 800D’s love power – the more power you feed them, the better they sound. To illustrate how much power: I sold my Mark Levinson 336 (350/700/1400 wpc into 8/4/2 ohms) and bought the Nemos (600/1200/2400 wpc into 8/4/2 ohms) because, among other things, the extra power clearly benefited the 800Ds. I knew that I should expect a big sound to come out of this “little” amp, but I was still startled when the 800Ds began cranking out Talking Heads. Plenty of energy, with the feeling of lots of headroom. A very good soundstage, with precise placement of individual performers. A bit edgy, but what did I expect using a stock power cord? I next put BDR cones and pucks under the 1092 and substituted the ZCable Cyclone for the stock cord. (I actually worried that the Cyclone would lift the Rotel 1092 off of the cones.) I then placed some weights (yes, weights used in weightlifting) on the top of the 1092 to add mass. When I started the Talking Heads disc again I could immediately hear more smoothness and bottom end. “This is going to be interesting…” I thought. I then decided to let this recipe simmer for a few days before really tasting it and went to bed – then to work – then to bed – and then it was the weekend. 4. A generally smooth presentation. The Rotel 1092 could not replicate the sheer bass weight of the Nemos (something the Nemos excel in) or the explosive dynamics of the M-2000. Moreover, the 1092 is not as smooth as the Nemo on acoustic material. These differences are only to be expected. My Nemos are tweaked to the hilt with Walker reference Prologue Amp Stands and Walker Valid points and tuning discs, and each monoblock has its own dedicated power supply. The Rotel 1092 had one cord to draw power for both of its channels (although each circuit is a 20 amp circuit). It’s fair to say that the Rotel 1092 was 85% of the Nemos and the M-2000s. Each audiophile quality was well-represented. Detail, depth, stage width, instrument placement, dynamics, PRAT were all consistently good. Its smoothness was a particular surprise, since I expected (I’m not sure why) something more strident. However, having said that, I think most listeners would prefer the Rotel 1092 with speakers that do not exaggerate the top end. I do not think that the 1092 would have sounded as good with my older B&W Nautilus 802s (without the Diamond tweeter), which were not as smooth as the 800Ds. The 802s (the pre Diamond tweeter version) were speakers you had to work with, and it was difficult to coax really good multi-textured vocals out of them, so the other components (such as the amp) had to make up for that shortcoming. The 1092 probably would not have been the best choice to do that. I would also say that the Rotel sounds best with energetic music. It seems to help propel that type of music along, making you want to tap your toes. In fact, if you are a rock aficionado, it’s hard to find comparable value in a stereo amp. It made me wonder what the Rotel 1092 could do in an integrated music/home theater system…. Though this was primarily a 2-channel review, I couldn’t help trying the Rotel 1092 in my home theater. Not to discourage you from trying the 1092 in a 2-channel system, but I concluded that a combination of a few 1092s and 1091s would make a really terrific surround system for movies. I only had one stereo amp to work with, but I liked it as much or more than my old proceed HPA3, and if the 1092 and 1091 had been an option for me in 2000 I would have chosen them over an HPA2 and HPA3 system. Moreover, the 1092 and 1091 are easy to install in a system where (unlike my main listening room) you don’t want exposed wires and equipment strewn about the place. They can go in a cabinet with other components and produce a really great integrated 2-channel/home theater system. Nice job Rotel! You’ve created a high value component that can be easily used in a 2-channel or home theater application. Paired with the right speakers and cables it will make beautiful music, especially with dynamic and energetic music. Definitely recommended. When this unit arrived, I was in the process of converting my listening area from a 5-channel music/movie room into a 2-channel music only room. I decided to run this amplifier from the preamp outputs of my surround receiver. Out of the box, the size and simplicity of the RB-1092 disguised the strength of the power within. 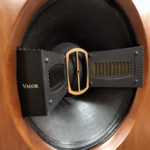 I was impressed from the start with the high quality dual binding posts that enabled true bi-wire speaker setup. After the straightforward pre-amp and supplied power cord connections, I was ready to go. The first thing that struck me when I powered up this amp was the increased width and depth of the soundstage. The instruments and vocals were very distinctly placed. My immediate inclination of course was to see what all that power could do. So I put on my brand new 200 gram pressing of Led Zepplin One. I began nudging the volume control higher and higher into ranges that I previously never considered. The result? It seemed that no matter how far I pushed it, the sound became clearer and more focused without an inkling of distortion. I only backed off after becoming concerned about alarming the neighbors. So, I thought, that’s what you can do with 500 watts per channel – perfect for our next block party. Funny thing is, though, this baby had just begun to reveal itself to me. As I began to burn in the unit at more modest volume levels for a more detailed evaluation, the real effect of that power struck me. I would be listening while reading and find myself suddenly hooked and reeled into the music. The level of detail I was hearing was incredible. Nuance in recordings I had listened to hundreds of times revealed themselves. From Patricia Barber to Valerie Carte to Little Feat, the result was the same. Especially noteworthy was the way vocals, percussion, and acoustic guitar jumped put of my system and commanded my attention. I couldn’t get enough. I listened for hours on end, cursing the fact that I had to go to bed. After some time I did begin to notice a bit of softness in the mid-range, but I attributed this more to the brightness of my speakers. A simple upgrade in the power cable remedied this as well as tightening up the bass. The more I listened, the more I understood what power is really for: the amp does all the work to bring out the subtle detail in all music at all levels. I wonder how four Rotel 1092’s would sound bi-amping Nautilus 802’s, Ed Momkus? Hi. I am considering purchasing the 1092, second hand to drive my b&w 683, which I may add seems to perform extremely efficiently when one feeds more power into it. I am afraid firstly that this may damage the speakers as the speakers are rated 200w into 8 ohms. Secondly this may also be a overkill. I am however restricted to a specific budget, and the 1092 fits into the price range that I have. Advise please regarding my concerns. Hi Andy. You definitely need to avoid cranking the 1092 to max levels, but there should be no problem with using it to drive your 683s. Speaker damage is more likely to occur when you use underpowered amps and try to drive the speakers to a high level. I have even used my Nemos to drive bookshelf speakers in reviews and never had a problem since I made sure not to go anywhere near the Nemos’ full output. Just make sure you don’t have kids (including teenagers) who might want to turn the volume way up just to see what it sounds like. I do not believe this is overkill, other than in the sense that normal people think audiophiles ALWAYS engage in overkill 🙂 Every B&W speaker I’ve ever heard benefits from very high power, and I have no reason to think the 683 is an exception. Happy Listening! Hi i want to bi amp my cm9.Rb1092 for bass and the rb1582 mk11 for treble and midrange.Would that be a good idea? Hi Riaan, I would not do that. The input sensitivity of the RB1582 is higher, meaning your mid & treble will play louder. Its always advisable to use one amp per speaker. One channel for the lows and the other for mid & highs. Besides the Rotel RB1582 cannot match the RB 1092 quality in any way. I have some Rotel amps (RB1080/RB1582/RB1092) . The difference is very easy to hear over my VS VR5 Anni speakers. Actually the RB 1092 performs so well, you’d have to spend a lot more money to better it. No other Rotel matches its performance.